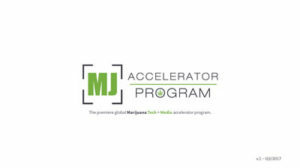 The MJ Accelerator Program is positioned as the premier global Marijuana Tech + Media accelerator program. First of its kind, the MJ Accelerator Program is a 14-week intensive mentor led boot camp established to accelerate marijuana related technology and media startups. Click on the image below to view the MJ Accelerator Program Overview or click here. Marijuana Accelerator is a division of Player’s Network, Inc. (PNTV). PNTV is a publicly traded diversified holding company operating in Marijuana and Media. In a few sentences, let us know what your business is all about. What is your monthly burn? Executive summary, Investor deck, etc. Before you submit, please review all the information to ensure everything is filled out completely and accurately.